You are here: Home / The One Ball / The One Ball: Are you a member of the Human Pace? 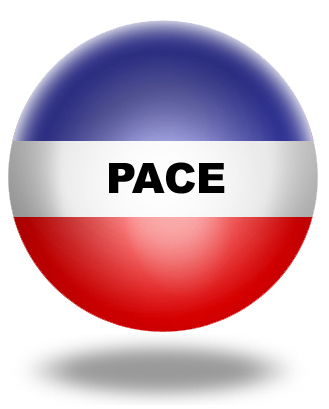 The One Ball: Are you a member of the Human Pace? What is your ideal employee engagement pace? Off pace. Regular readers of this site know there has not been a one ball post for quite some time. I lost my pace with a flurry of work in late winter, moving through spring, and right into early summer. I am now striving to create a rejuvinated pace. Previous One Ball Posts. If you would like to read some of the previous posts based on the one ball theme, click here. Pay attention to pace. How much attention do you pay to your pace at work. To sustain heightened levels of engagement with work we need to be mindful of pace. Work requires sustained effort over a long period of time and in this atmosphere pace become more important than raw speed. Keep moving. We need to find an efficient and effective rate of moving at work while also going the distance as things, including us, continue to change and transform. How much work do you determine to pace off in any given day, week, month, or year? Pacing questions. What role does pace play in your employee engagement efforts? Do you manage to stay on pace? Do you contribute to the pace of others? Do you know your ideal pace? Do you know how to maintain this ideal pace? Stop trying and stop giving 110%. As Yoda said, “do or not do, there is not try.” I think the idea of giving 110% except for the briefest of moments is damaging while working at 80% while balancing challenges and strengths may be closer to the idea state that will allow us to sustain effort, efficiency, and effectiveness over the long haul. I always loved the line attributed to Lily Tomlin: Try softer not harder! The marathon. As a long distance runner I have run into most of my problems when I have failed to either find or maintain my ideal pace. At the start of a race it was so easy to get caught up in race mentality that pace mentality would go out the window and running would be difficult or even injurious. I am still recovering from injuries sustained a few years ago and I seem to get re-injured when I fail to adjust to the pace that is ideal for where I am and who I am now. Join the human pace. Hopefully you will join me as a member of the Human Pace as opposed to the Human Race and we will efficiently and effectively achieve and sustain high levels of engagement with whatever task (ball) that is before us. The extra mile. While doing research for this article I came across an excellent book about work pace. Read the quote below to get an idea about the intention of this book. Does setting a sane pace at work seem impossible? Experienced managers know ways to control their pace and progress even when the environment races on around you. Being aware of the need to pace yourself constitutes the first step. Building an awareness of when you are going dangerously fast or drowning in change is important. The above quotation is from Gregory Shea and Robert Gunther’s, Working the Eddies: Pace Yourself to Preserve Your Sanity. If you would like to read a longer excerpt from the book, click here. If you are striving to find you ideal pace I encourage you to read, study, and practice this excellent book.